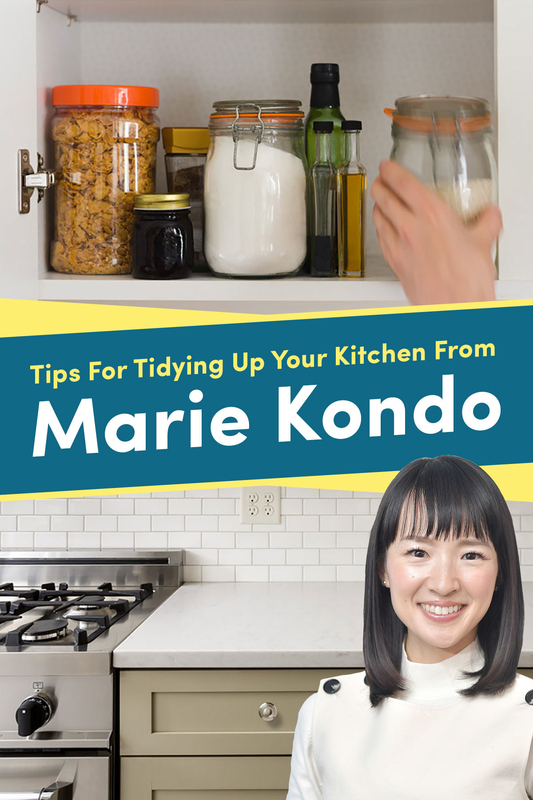 If there’s anyone who knows how to tidy up a kitchen and optimize it for efficiency, it’s organizational expert Marie Kondo. 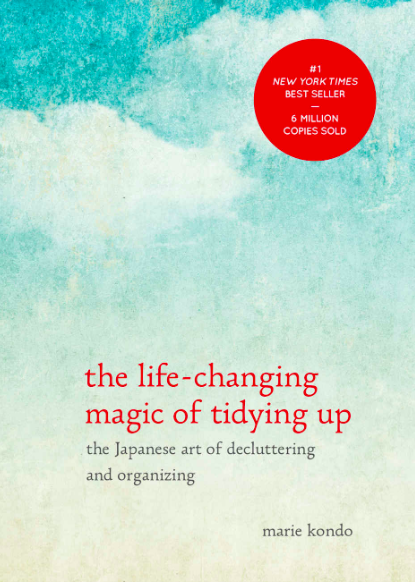 Kondo, the lifestyle guru behind the hit Netflix show Tidying Up with Marie Kondo and author of two bestselling books, is not only an expert on tidying up bedrooms, offices, and living rooms, but kitchens, too. 1. Transfer your dish and hand soaps into simple pump bottles to avoid the visual noise of labels. 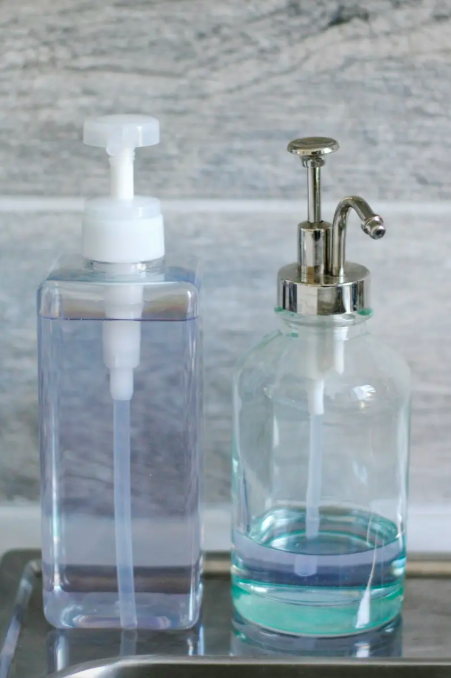 “By eliminating excess visual information that doesn’t spark joy, you can make your space much more peaceful and comfortable,” writes Kondo — and a good way to do that is to transfer your kitchen soaps into sleek, text-free bottles. This way you wont have to stare at ugly labels that come with the soap. 2. Don’t put anything on your countertops. “Put nothing on the counters or around the sink and stove top,” writes Kondo. “You will be amazed at how easy your kitchen is to use if you design your storage with this aim in mind.” While this idea might seem extreme, having empty countertops will make your kitchen easier to work in and much cleaner looking. 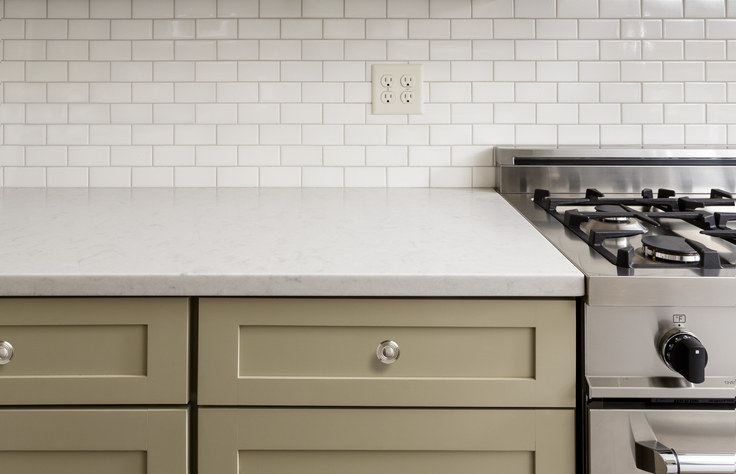 If you can’t manage to have completely empty countertops, try to trim down to just the essentials. 3. 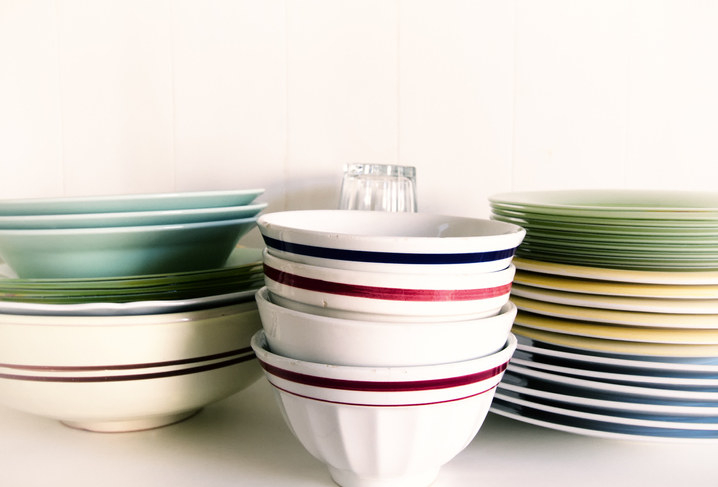 Keep only the dishes that spark joy and you’ll actually use. “Take a fresh look at every dish you own and see if it sparks joy,” writes Kondo. “Make the dishes you love the ones you use every day.” This means parting with dishes that you don’t actually like, and actually using the ones that spark joy. 4. 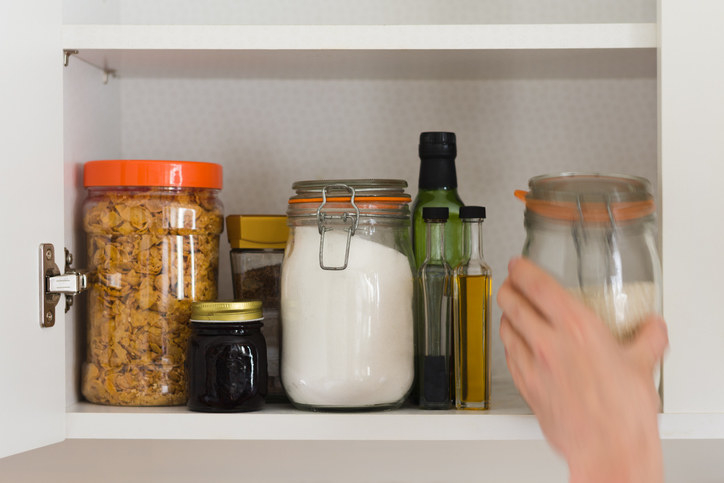 When planning out how you’re going to organize your kitchen, keep ease of cleaning in mind. “It is impossible to enjoy cooking in a dirty kitchen,” says Kondo. “When planning storage, aim for ease of cleaning. 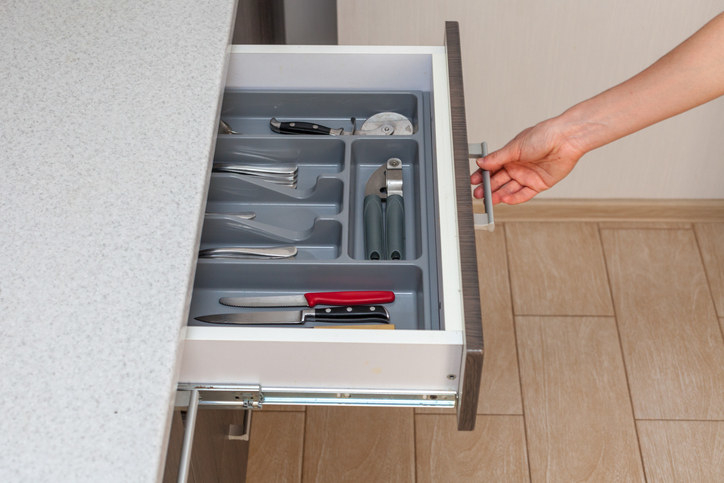 Keep work surfaces clear and try to store all ingredients and utensils in cupboards or on shelves. 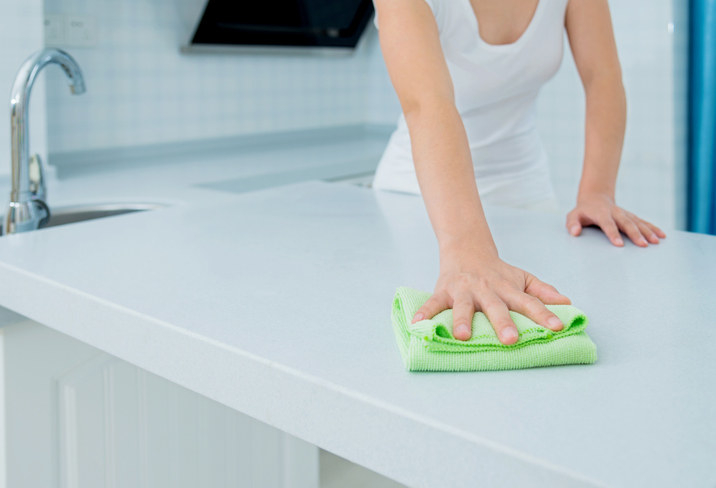 Wipe down all surfaces every time you cook to remove traces of oil and water,” Kondo explains. 6. 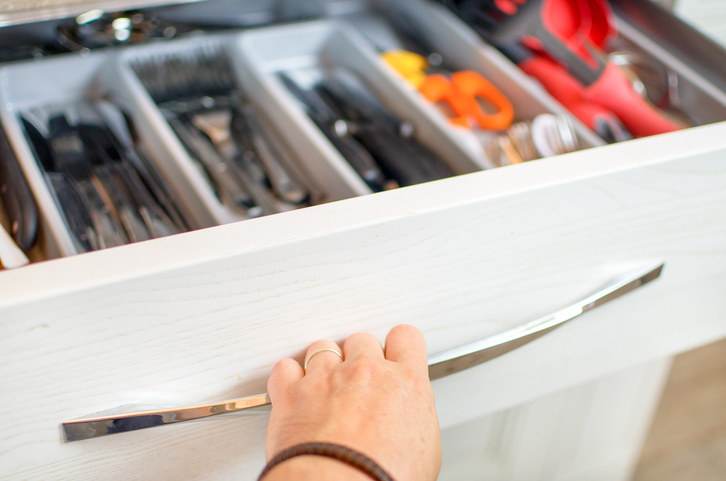 And remember to keep things categorized in your drawers so your kitchen feels more organized. 7. Try to consolidate all of your consumables — like plastic baggies — into one container. “If you have multiple boxes of things like zippered storage bags, remove them from their boxes and transfer them all to one container to save space,” writes Kondo. 8. 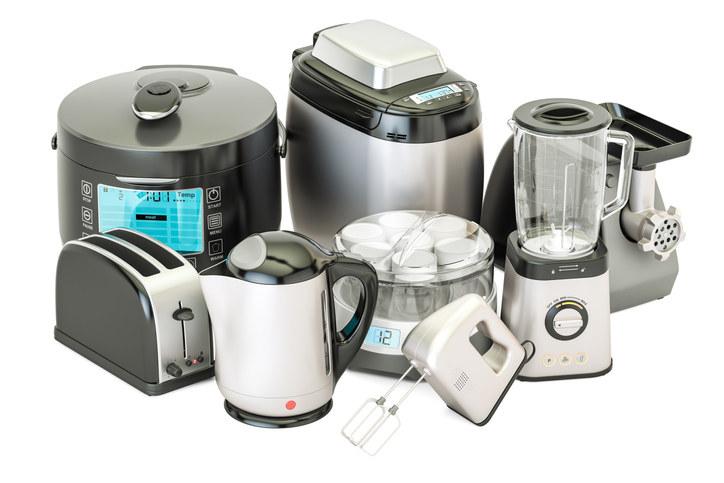 Go through your kitchen appliances and get rid of ones you won’t ever use again. 9. If you have a large collection of dish towels, consider folding them using the KonMarie method. One of Kondo’s most famous organizing techniques is her signature folding style. Her method, which focuses on standing items upright so you can easily see them, is a bit complicated but totally worth the effort. If you have a large collection of dish towels in your kitchen, consider this method to stay organized and consolidate space. See how to do it here. 10. Go through your cookbooks and get rid of ones you don’t use or don’t spark joy. Cookbooks are not safe from the overarching question of whether or not an item sparks joy, so go through your collection and get rid of ones that don’t spark joy or you’ll never actually cook from. 11. At the end of the day, don’t feel like you need to aim for simplicity. Looking for more expert tips from Marie Kondo? Check out both of her books and get organized! 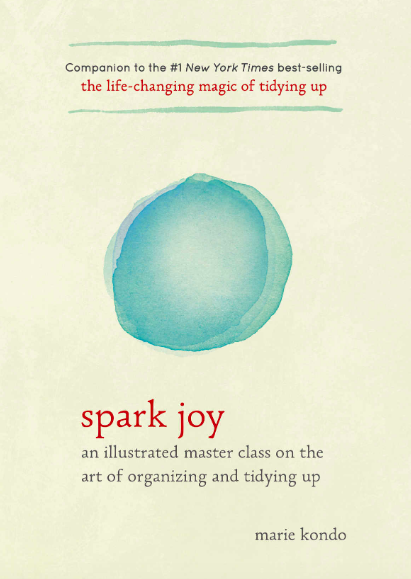 Both The Life-Changing Magic of Tidying Up ($8.62) and Spark Joy ($11.87) are available on Amazon. I Made 14 Crappy Drawings Of "Game Of Thrones" Characters, Can You Guess Who Each One Is? Choose Your Favorite Queens And We'll Tell You Which Challenge You'd Win On "RuPaul's Drag Race"